Just south of Los Angeles, Huntington Beach, Newport Beach, Balboa, Laguna Beach, Dana Point, and San Clemente are among the great beaches in Orange County, California. Orange County beaches give visitors a chance to cool off and wind down from the Los Angeles area’s busy theme parks. A short drive from Disneyland and Knott’s Berry Farm, these south coast towns have everything from top surfing beaches to fishing harbors to quiet coves, wildlife reserves and pristine stretches of sand. 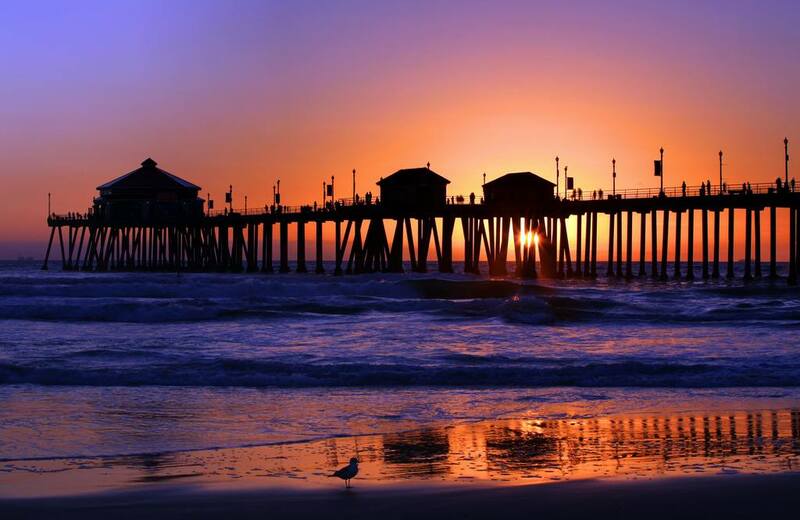 Huntington Beach: Often called Surf City, Huntington Beach hosts international surfing championships every summer. The coastal position and curve give this 8.5-mile long beach some of the best surf breaks in the entire country. The pier – the longest on the west coast – is a great spot for watching the action, and there’s a surfing museum in town. Bolsa Chica Ecological Reserve: To the north of Huntington Beach, the salt-marsh reserve shelters hundreds of rare birds and many endangered species. They can be seen from the boardwalk along the 1.5-mile loop trail, which carries on to Bolsa Chica Cliffs where you can also spot sea life such as stingrays and sharks. Bolsa Chica State Beach also has good surfing. Newport Beach: Set around Newport Harbor, where the waters are brimming with pleasure boats, this fashionable beach community has miles of boardwalk and bike trails for skating and cycling, and a long municipal beach with soft white sand. Based near the pier is the Dory Fishing Fleet, founded over a century ago. Balboa Peninsula: The beach scene continues along this stretch of land enclosing Newport Bay. Along with the beach and Balboa Pier, the Fun Zone is a popular amusement park and there are harbor cruises and ferries to Catalina Island. Balboa Island, a short ferry-hop away, offers more strolling, trendy cafes and beach/surf shops. At the end of the peninsula is The Wedge, a famous spot for body-surfing. Corona del Mar: Big Corona Beach is a popular swimming spot on the other side of the rock jetty that borders Newport Harbor. The sandy beaches and coves are backed by cliffs, and a lookout point affords fabulous views over the bay. Down a steep path and set amid rocky cliffs and reefs, Little Corona Beach is a prime spot for snorkeling and diving. 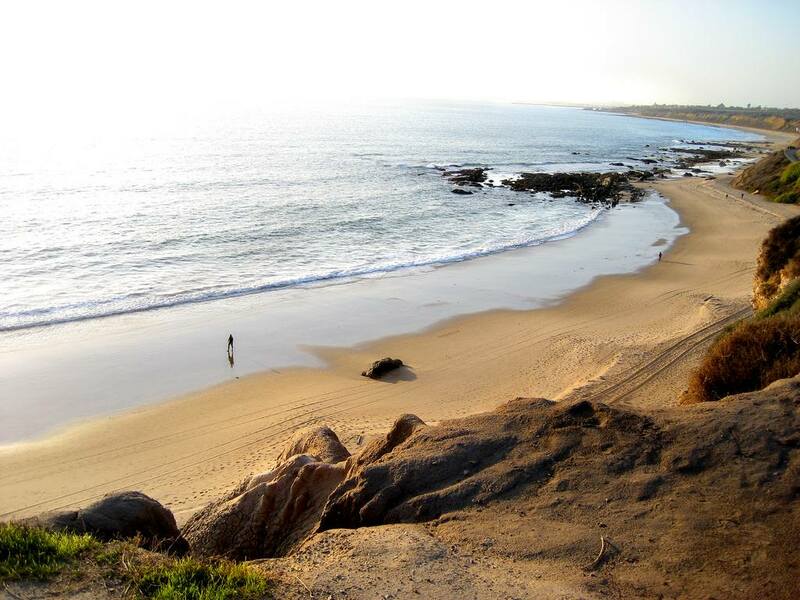 Crystal Cove State Park: Trails descend from rugged cliffs to 3.5 miles of often-deserted beaches. This stretch of ocean has been declared an underwater park. The park has 2,000 acres of woodland, with hiking trails through the hills and canyon. Laguna Beach: The town’s fame as an art colony sometimes overshadows the marvelous coastline here. The pristine waters along these 8 miles of shore contain small bays, rocky coves, protected tide pools and spots for watching sealife such as sea lions, dolphins and migrating whales. Dana Point Harbor: Some 2,500 yachts tie up at its two marinas, along with sportsfishing and sea cruising vessels. Nearby, Doheny State Beach is a beautiful mile of sand with excellent swimming and surfing. San Clemente State Beach: Another magnificent mile of pristine beach stretches below the bluffs. Swimming, body-surfing, skin diving and hiking are popular activities here.